The wondrous psionic city is located within the fierce Wilds of Terrenus, nestled within the forest a few miles from a bend in the road heading towards Blairville to the East and Weland to the West. The forest surrounding is dense and provides the city with lumber needed as a trading tool in order to function with trade from other cities. To the Southeast lies the Labyrinth Forest, magically enhanced and mysterious to the origin. The forest itself is untouched as far as construction is concerned, but it also provides an otherworldly attraction to the budding city. A stream flows between P.K and the Labyrinth Forest, providing a water source for the city and the ability to have a functioning lumber mill. Venturing into the Labyrinth Forest would be to usher almost certain death from the ever changing (seemingly at least) flora. Ebony walls have been erected around Predators Keep as a whole for a type of natural defense, the massive rock walls standing above the rooftops to effectively provide safety to the citizens. The wall descends all the way to the mantle, so there is no way to tunnel into the city below the ground. The current population stands roughly at about 50,000 residents. There was nothing completely awe inspiring about the building besides the fact that it had been tore to the ground and then rebuilt in a miraculous amount of time. Renovated with windows, modern and antique furnishing, and built higher so that the demanding view swept the tops of the woods surrounding. It was the symbol of something great to come, and it gave the thousands of people and beings below hope. There was still renovations to complete to make the stone building look as proper as the promises it held, but since it was already a functioning building, that wasn't a top priority. There were two tall towers on each end, the right tower was where the Queen had made her quarters, the right held several extravagant guest bedrooms for guests of high importance. Throughout the whole building there is a multitude of different rooms, a kitchen equipped with a chef's dream, dining hall with a long grand table and enough seats for 3/4 the royalty of Terennus, entertainment rooms, meeting halls, and the rest were different guest rooms and bathrooms. At the foot of the Keep it was rather barren, eventually there was plan for a garden with all of the more gorgeous flowers decorating the expanse. The whole building was left open with no defensive walls to keep it safe, but it was also meant so that nobody felt like their leader was walling them out, that they could visit unhindered whenever they pleased. A courtyard of manicured grass reached a good fifty yards before the town would begin. The town of Predators Keep was new, budding into something great and ever growing. The populace was near fifty thousand residents and growing every day, people made the dangerous trek on nothing more then hope that the rumors around Terrenus were true. That this brand new town would be a forever home that is safe and secure, no judgements on the past of it's people, and one distinct quality it held. It was home of the psychic people. Being a psychic (or Psion) wasn't as easy as it was to be a sorcerer or mage. Having control of more then that 10% of your brain was a daunting task, and Predators Keep was built by the hands of possibly one of the most powerful Psions to walk these lands. That information alone was enough to draw in her kind along with a number of different types of magical or otherwise power enhanced beings. Each home was built by the hands of the people that would be living within it's confines, an incentive that the Baroness had laid out to help people feel important. Before the boundary of the town on the side of the main gravel road was a wooden sign with the rules laid out in bold font. Every person looking to enter with hope of finding refuge here must find council with either the Baroness Red Yusuke herself, or with any of the members of her authority to undertake the task of screening and laying the rules out for them to understand. Along the outer edge of the town small shelters had been built for those whom hadn't finished building their house yet, furnished with small furnaces, cots, outhouses on the backside, and few cabinets for their belongings. There was no set time they had to finish building, but the shelters were not meant to be permanent homes. For those who are physically unable to build for themselves, Red has had simple homes built for them and they are to find other means of earning their keep in the town. Shops are plentiful along the main center road of Predators Keep, stands for people to sell their wares, small grocery stores, little diners, anything that you could imagine has either been built or is underway. Beneath the city of Predators Keep lies a large expansion, one built from dragons and humans alike. The Underground is where many of the lessors of the city have taken residence, criminals who were unable to acclimate to the respectable portion of the city above and shady figures of the like. Buildings wrought of stone and timber, some built into the rock surrounding, with magitek light giving the Underground a low, near dusk lighting. There is rumor of Black Market types of illegal trade taking place below, but many of the guards that commonly rotate shifts below have either seen nothing, or may possibly be taking part of the trade itself. Branches of tunnels lead from the open section of city, leading to unexplored caverns, mines that are both operative and not, and specific ones that have been holed off from the public due to unknown dangers beyond. Flora: The city is located in the middle of the Wilds of Terrenus, much of the flora within and surrounding is completely forestry. The tree-line surrounding the city slowly dwindles further and further away from the ebony walls as they log for resources, but the density of the forest keeps the land from being completely barren due to the resource need. The petals of this herb are the only known source of the psychoactive alkaloid luminophan known to exist in the natural world. Coupled with the strong hallucinatory agent tryptophan, luminophan provides the user with the temporary ability to visually detect energy sources and transfers of energy otherwise invisible. The coherency of these visions is known to vary at the mercy of the user's mental fortitude and physical tolerance, often described as a transformation of the normal world into a kaleidoscopic lens where objects appear with the viscous texture of liquid; where walls and floors pulse like the face of the ocean, inanimate objects seem to melt into one another and inhabit the same indiscernible blank canvas, figures in motion and people are marvelous lightshows with hue according to type of energy and brightness according to magnitude/power. With such immersive and quick acting results, recreational use of this drug by inexperienced persons in highly-populated areas or states of significant sensory deprivation may result in chaotic realities, nightmare worlds only magnified by panicking, paranoia, and any of those already well-endowed in imagination. The sprouting blossoms of this herb contain atropine, a powerful alkaloid serving as a secondary metabolite with a variety of effects. Though it's most powerful when ingested or consumed in liquid form, when smoked this herb is capable of dilating the pupils within minutes, increasing the heart rate and blood circulation to provide the user with a refreshing body buzz, enhanced visual clarity, and a euphoric focusing effect. It is commonly used to enhance concentration or as a partner to another active effect, yielding many of the most potent combinations for harmless mental stimulation. The petals of the largest flowerhead contain focused amounts of dormant hallucinatory alkaloids named carophan and active carotenoids; substances first discovered through use of this plant; which in humanoids responds as a positive synergy by stimulating vitamin activity within the eyes and acting as powerful antioxidants. Carotenoids directly absorb damaging ultraviolet light by casting a barrier upon the macula of the retina, the area with the sharpest vision, protecting areas with the highest concentrations of cones to enhance high acuity vision. The result is a temporarily magnified faculty for sight allowing clarity over greater distances and a heightened resolution of immediate surroundings, most commonly used in the form of a joint or a tea. Fauna: Surrounded by forestry, the Keep tends to have many different species of animals spotted in and around the walls. Commonly rabbits, squirrels, deer, and of course fish from the small river behind the Keep. With a plethora of other animals, there have been spotting of more dangerous beings lurking within the woods and down below in the tunnels of the Underground. Rider dragons are used as intelligent mounts and beasts of burden for the clearing of fields, the trapping and hunting of animals, mail amd item delivery, and combat. Rider dragons have animal cunning and are capable of learning complex tasks, but are unlike other dragon species in that they do not contain true sapience. A rider dragon makes for a true companion but is not to be confused with the species of dragon capable of learned magic and civilization. Rider dragons have to be bonded with their rider in order to be tamed. The empathic link formed with a bond allows for the communication of familiar ideas, such as fear, doubt, trust, anger, joy, and so on, but not complex or detailed messages. A larger rider dragon can be fitted with a saddle that can comfortably accommodate four to five people. Mimics have been the bane of adventurers and heroes for eons. Customarily they take the shape of a treasure chest, indistinguishable from the real thing, and lurk in waiting until a hapless hero stumbles over it. Upon opening the chest, the hero is dismayed to find not treasure, but a maw with three rows of razor-sharp teeth, red eyes in the center of its throat, and strong arms five feet long. A mimic's dimensions are variable. Although mimics usually take the shape of a treasure chest, they can take on any shape or size that most strongly plays on a party's greed or desperation. So they can take the shape of an oasis in the desert, a group of them might take on the image of a fully stocked but abandoned camp in the middle of the woods, or simply a collection of gold and jewels in a fort. Mimics can only take the shape of inanimate objects, and can not simulate life. Mimics speak the language common to the area they are found in, and usually weigh between one and two tons. The mimics primary line of offense is a thick slime it exudes that acts as a powerful adhesive on any creature that touches it. A weapon that strikes an adhesive-coated mimic sticks fast to it. A mimic can dissolve this adhesive at will. The adhesive disintegrates half an hour after a mimic dies. It's second line of defense is the considerable strength granted it by dint of its weight. It is capable of crushing bones in its hands. Strange aberrations that haunt the northern landscapes of Patia, these spidery-limbed humanoids are the direct consequences of sorcery gone awry within the citadel of the Black City. Ravenous and terrifying, these Grotesqueries roam the lands ranging from Marlboro Keep to the Day River in small, infrequent bands, descending on unwary travelings to maim and devour. For every soul lost to their predations, the Grotesqueries add a number to their ranks. These monsters are unnatural, and are to be killed on sight. Their bodies must be burned to keep them from reanimating. Summary: The Midnight Marauders are a current Mercenary for hire group led by their leader Aarin De Silva, Former Commander of the Malmosian Militia. Known for their bluntness and otherworldly Militia Structure. The Midnight Marauders heavily focus on size of force alongside plans and breaches that thinks outside of standard Militia warfare. Currently contracted to Predators Keep, The Midnight Marauders are the main defense and military force of the Predators Keep Military. Being Intergalactic creatures they are more suited to more technologically adept weaponry just as laser based beam based weaponry. However, unlike other standard Alien based Military forces their structure vastly differ and with that, their choice of attacks change significantly.  Minutemen: Minutemen are the common force, while not trained in anything specifically, they are gifted in purely weaponry warfare, including the use of various laser and beam based weapons. Most Minutemen due to their lack of skill in Psionic or Malmosian based abilities tend to focus on sheer numbers and focus on swarms and common formation, Choosing to use Common military tactics and forces such as Snipers, Garrisoning unoccupied buildings (Or taking the chance to clear out an already occupied building in order to garrison it.) This subset is known for their snipers and spotters, soldiers that uses concealed and high elevation areas to take out their targets. Snipers are equipped with cloaking devices, which makes them opaque and partially invisible to enemy forces, however, they cannot move lest they lose the partial cloaking, and reveal their movements. Snipers: Snipers act as long range support for close range troops, equipped with the cloaking device as stated above, they can use it to hide themselves whist standing still, said cloaking device can only last up to 4 turns (30 Minutes.) Before shutting off and having to recharge. They can also still be seen if they are moving, regardless if it is on or off. Laser Weaponry: Laser based weaponry does wonderful amount of damage to robotics, and metal based armor, melting it down and weaking the foundation. However, it is still weaponry, and they are still limited to what they have in terms of ammunition. PsiOps: PsiOps are the Psionic led forces of the army. Instead of straight cold cut war like Minutemen, They are more based on mental destruction and high damaging psychic attacks. Mostly based on Defensive and countering purpose their abilities grant them generation of Psionic based abilities, along with various shield that can defend themselves from Opposing attacks on both themselves and platoon members. Unlike Minutemen who work better apart, the more PsiOps agents they are, the stronger their Psonic based abilities will eventually become. Platoons placed in Small places can cause massive damages to armored vehicles and even armored human units, destroying the armor and eventually the people in it. Psicannon: In a group Psionic forces power can increase their damage range further, with testing Aarin realized that by focusing their energy on one target they could essentially create a cannon with massive firepower akin to a microwave, slowly melting away armor from armored vehicles and troops. Most units noteven lasting 10 seconds in combat before the core explodes. Summoning: Soldiers on their own can summon small creatures to assist them, However if they can gather a large enough force, or include stronger Psions, they can create much larger summons when in groups. B.A.R.D. is a specific squad of Malmosian Musicians warriors. Used mainly to clear out enemy strongholds, they are known for their unorthordox way of doing this. By using their Malmosian ability, along with sound manipulation from the instrument of their choice, they are meant to clear out the stronghold or structure in the quickest time possible. They act as a band, working together to create their common goal of elimination and pacification. Using Sound manipulation and buffs B.A.R.Ds can be very devastating as about a support and Defense class. Sound Manipulation: B.A.R.D’s can create, shape and manipulate sound, a periodic disturbance of the medium (air, ground, water, etc) that radiates outward in straight lines in the form of a pressure wave. The effect these waves produce upon the ear is perceived as sound. From the point of view of physics, sound is considered to be the waves of vibratory motion themselves, whether or not they are heard by the human ear. User can mimic, intensify, hush, and distort, as well warp, strengthen, echo, speed up, and slow down sound, using it as a powerful physical force and high-speed movement. Anti Magic: Whilst in the area of their musical play, most Magic after affect no longer are applicable to the people inside of it, while the actual attack still might hurt them any specific effects after the fact will be delayed until the music is stopped. Bang! : With the singer in Lead, Opening the door and sliding into a structure will cause a flash of light similar to a flashbang. This can be used to disorient anyone in the clearing and make it easier to break into locations. Purging the Quarter Class-S: Within the old Canal Quarter a black market ring has been running illegal deeds, the commander of the military is requesting a special ops group to be created in order to purge the section of the city. This will be led by @Trexasle (if he wants to), if not myself or another PK regular will DM. 3-4 people. These will all be hosted in Predators Keep. Which quest you want depends on how many members and if you will require a DM. The Scarlet Council was formed as a backing system for the Baroness (Queen) of Predators Keep, a few important faces to help work behind her in order to keep the city safe and functioning without one singular iron fist. Her dream was to create something that would reflect on the citizens, allow them a voice in the every day rulings, and provide a security blanket wove with more then one mind to interlink each faction into one large council. Each council member has a specific area of expertise that they focus on, kind of like a Mayor for those sections. 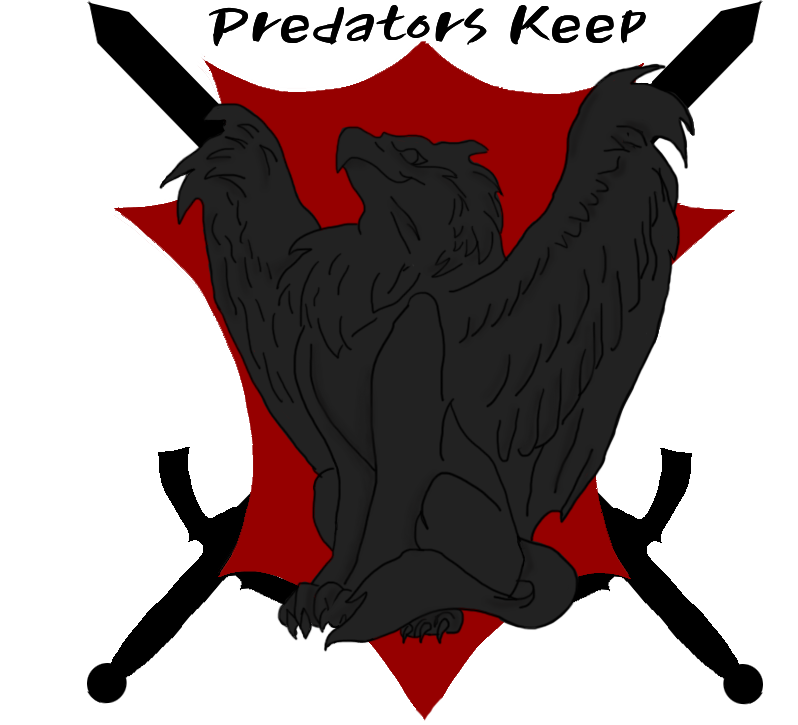 (Update) Since the acquisition of several more cities, the Scarlet Council has been renovated to work as a council for the Queen instead of for Predators Keep alone. The lands she rules are now called the Scarlet Region on paper, or Scarlet Kingdom. Each of these five cities within the Scarlet Kingdom adhere to the council's wishes, and each of the regents are part of the council as well. With the Regents locations being outside of the Capitol, a new system has been introduced that will enable the Seats to actively play their roles when a council meeting has been called. With the help of her bodyguard and advisor, Leandros Kostikos, holographic projections have been crafted to project the image of each council member in real time, enabling interaction. War Room: These Council meetings are held in a room designated the War Room. A long, mahogany oval table sits in the center surrounded by seven seats, with each seat belonging to a respective member of the council. The large room is decorated finely with portraits and paintings, all depicting officials of the Queen's army as well as priceless paintings themed around Predators Keep, and all the cities within the Region. The Queen's own armor stands on a mannequin situated against the wall directly behind her seat at the center of the table, and each of the Regents armor has been replicated and placed similarly behind their own seat. Advisor. Regent of Port Caelum. Advisor. Regent of Altissium Bay. Laying down the Foundation - After no more then a days preparation and then another days travel, Red had sent out a couple of letters, one in hopes of gaining support and the other in hopes of gaining supplies. The current Keep was a crumbling mess, a building she had found in her wandering around Terrenus. It had potential, enough potential it was nearly bursting at the seams with stone. Red Yusuke had managed to rally near 60 people within the first day, over a dozen of them were supernatural or had such enthusiasm they couldn't be grouped with the normal citizens. It was more help then even the Psion could imagine, and within the day groups were organized and the current Keep was to the ground. Building the Foundation: Resource - While the Keep was in it's beginning construction phase, a group of people had began to plan a resource run in order to keep the operations running smoothly without shortages. Before the group was able to execute their plan, an outbreak occurred elsewhere within the city, and the people were sent to help with this outbreak instead. Building the Foundation: A Meeting - While taking a break from busy work, Red found herself at the stream to the south east of the Keep. There she encountered a man from Gaia Prime, his true name Markus yet disguised under an alias of Orrin Wulf. After a small talk, Red hired Orrin as her Quartermaster before retreating back to the Keep to respond to the outbreak. Building the Foundation: Defense - Raven Kanzaki worked tirelessly to prepare a well rounded defense for the building city, wanting to keep it protected while the dangers of the Wilds lurked around them. Erecting a large dome like barrier, Raven ended up giving her life (albeit momentarily) to keep them safe. Red, being linked to the woman, stood watch over Raven the whole night, waiting for her to return to the realm of the living. Building the Foundation: The Keep - In only two days prior to the initial ground breaking, everyone had joined together and worked through the nights in order to complete the Keep and start the foundation of the city. Many different points of interest had been established, many of which were new allies for the Baroness to rely on. Luis and his RB men had worked long and hard to finish the first standing building, a mead hall deemed Predatorial Hall. It was the first finished building and worked as a home base for the RB operations within the town. Raven Kanzaki had erected a talisman shield surrounding the Keep that would keep anyone with Ill intent out of the booming city while it was in its construction phases. An unlikely foe appeared in the midst of an attack on the city coming from the Labyrinth forest just beyond the stream to the north east. A foe that the Baroness had known from her past, and one that she had struck a deal with in order to help tame the forest beyond. A fellow Psion by the name of Markus had sought Red out, also striking an alliance with her in order to have a safe home within the Keep. She had made him Quartermaster of the town, and the two would be working on building up the Scarlet Council, the council that would work together to run the city come constructions end. Bernard, Rayna, Kyros, and Maury were all leading examples of the dedication needed in order to complete construction, the latter of the group striking friendship with Raven quickly and aiding somewhat in the defenses of the town itself. A few new people arrived within the chaos, new faces that would likely become someone important within P.K as it surged towards finalization. Laucian was the key member towards the defense outside of the town, his pack of werewolves always prowling to be sure safety was established. Max, the man that had fallen into the Keep barely alive had made a quick recovery thankfully. Rising from the Dust - After the city was well on it's way to sustainability, the Baroness began preparations on building a council that would act as a political system; One that would aid the new leader in important matters concerning the city and all endeavors concerning it. The new Lieutenant, one Yakob, has been added to the council as a prospective council member. Orrin Wulf has been added as the first seat of the Council, while Raven Kanzaki has been proclaimed as a ghost seat, only aiding when she is available. The population has reached roughly four thousand residents, and many of the resources have been secured and trade has began with a flourish. Predators Keep is now officially a smooth running Barony, with the population still steadily growing miraculously. Looking into the Future - This thread was solely dedicated to writing out the dangers that lurk within the Wilds of Terrenus around the budding city. On one cold night, a beast from the Wilds of Terrenus called Grotesqueries had attacked the Baroness in her chambers, destroying the window that allowed light to illuminate from the Keep, signaling life within. After a battle that subsequently destroyed the room, nearly killing the Baroness, it had been dispatched and burned. Grapefruit Moon - On a chilled evening, the Baroness was alerted that an ally of hers had requested her audience on the northern end of the Keep's ebony walls. Upon arrival, she found the King of Patia, Roen waiting for her upon the parapet. After a short, rather warming conversation, she was gifted with a set of signet rings by the devil. To Invite the World to a Ball - Since the rise of Predators Keep, Red had invitations sent out to all of Terrenus and parts of other continents within Valucre to invite anyone who may wish to come to a welcoming ball. Lords and Ladies from all around converged on the Keep that week, all to celebrate the beginning of a new city and a new rule. The Baroness had invited a guest of honor, the only ally she had been able to manage within Terrenus at the time. King Roen of Patia spoke, giving her well wishes and the rest of the guests a subtle warning that her city was beneath his watchful gaze. Going smoothly the majority of the night, there was an outbreak of psionic energy from a man whom claimed it to be accidental. The cities defense system activated, effectively destroying the outlash at the cost of the Baroness' power reserves. Irritated, Red ended up using the last trickle of her psionic ability to stop a table from crashing into the crowds, thrown by Roen himself in a fit of anger over the arrival of a guest he wasn't so fond of. After those events unfolded, Red retired to her rooms for the night. A Whole other After Party- Upon exiting the Ball, Red had felt the presence of someone within her personal chambers. Arriving in a fit, she found it to be an old (semi)friend from Gaia Prime, Xartia Pendragon. Being rather intoxicated as is, the Baroness sat and spoke for some time with the man before a lucid affair blossomed between the two. Concerning the Concerned - The first of many Council meetings, the Baroness called her council together to discuss the possibility of war with the Dasua Barony, after the self proclaimed 'King' had been an insult and nuisance at the Ball. Seeing the 'King' as irresponsible and unfit to lead, she believed it best to have him swear fealty beneath her, and if not have the threat of war on his horizon. If at First - With the possibility of war in the near future, King Roen awoke Baroness Red in the middle of the night for an impromptu sparring lesson, to ready her for victory over Dasua Barony. To Start an Army - With the threat of war still in the future, Red sought out to find herself a general that could lead troops for her city. Contacted by a man named Aarin De Silva, the two sat within the war room and deliberated conditions in which Aarin would lead her military under. After a successful talk, he was appointed General of the Predators Keep military. To Rule the World - At long last, with preparation complete and the army situated, the Baroness of Predators Keep arrived at the base of the Dread Peaks to meet with the leader of Dasua Barony to request fealty of the man. With Roen as a delegate in the negotiations, they spoke with the false King's delegate with no headway to the man accepting her proposal. After the failed negotiations, it was decided that instead of a full blown military war, they would settle the war with a dual between two champions from each land. The Fight for Dasua Barony - The time had came that the two champions meet to fight for the fate of the Barony atop the Dead Peaks. A mysterious monk took the stand for the false King, while Red's own Quartermaster took the stand for Predator's Keep. The battle waged for some time, both at worse odds at one point or another, ending in a near draw. The victor stood to be the monk, standing in for Dasua Barony, costing the Baroness the war. The Underground - After the failed attempt at claiming Dasua Barony, the Baroness shifted expansion in a different direction: Directly below the city. Calling the Scarlet Council together, she laid out plans and blueprints to discuss the idea of expanding. With the fresh wound of defeat, Red had put all of her focus on this expansion, getting approval by the members of the council as well as plenty of ideas to go along with it, thus the start of her first expansion began. Beneath the Rise Pt. 1- After the initial planning, Red met with a half-dragon man that went by the name of Vince and an earth-bender by the name of Ian, they began their trek into the tunnels that had been started by Keep workers. A small band of Drakes accompanied Vince, all of which burrowed ahead to create the many tunnels and caverns that would one day be the Underground city. Meeting with a boy named Jhin that Raven Kansaki had directed to be employed by the Baroness, the group worked tirelessly for many hours behind the drakes until the main cavern where the city would be had been constructed. QUEST: A Strange Request - After hearing several rumors of a sunken temple housing creatures that tormented the forest, the Baroness gathered a gang of adventurers with promise of reward to venture into the forest and purge the temple of the abominations. The group traveled together most of the way, and as the adventure grew more daunting, the group began dispersing. One or two leaving, some being dispatched, all by the powerful Eldritch Spider Queen that had been guarding the temple. After a long, terrible battle, only one adventurer stood to return to the Keep after the Spider Queen had been destroyed, James Eredas. The Daemon and the Daemonslayer - Concerned that Raven is heading into a trap, the benevolent daemon Jesta’ seeks out the only person she believes can help. After a brief and terse discussion with the legendary Slayer himself, James agrees to fulfill his promise to Raven and eradicate OXY once and for all. Bringing the barony to its knees, Corvus managed to torture and imprison Red. Having failed to incapacitate the Baroness fully, Red managed to escape her prison--though not before being intercepted by codename Jie. James Eredas is brought to the scene by Raven’s Daemon, who returns to her mistress to warn her of the attack. Engaging with sharp shooting expert codename Boots, James discovers the enemy he’s waited for has finally revealed itself. Not realizing that an elaborate trap has been set, the city becomes a warzone; the barony is robbed of its defenses. Its military, distracted. It’s allies, spread thin. Its leader, taken. Black Rock Spiders – These armored creatures are both valuable in terms of item for trade, and could potentially become mounts! Beware, they put up one Hell of a fight and are extremely territorial. Your Spider’s silk appears valuable. What can you sell it for…? You may attempt to either find supplies to repair the ship and risk your way back to pick up Group B, or you may abandon the ship to find a suitable, alternative means of transportation. Understand that abandoning the ship means the second group must also trek along the mountains and make their way to Dawnwatch, or meet Group A at an agreed extraction point. A Strange Encounter: Another group passes through. If you scratch their back will they scratch yours…? Another group is questing through these parts. Wary is as wary does. What information can you extract, and is there potential to work together? Worker smarter, not harder! A Town Unraveled - In the wake of the OXY invasion, Kalmuli, a local healer had constructed several bases of operation for her students and any able bodied healers to begin work helping the injured. Working diligently, the small group had managed to save countless lives while Kalmuli took a stand as interim leader until any of the council returned to take Red's place in her sudden disappearance. Within the madness, a representative from the foreign land of Zine appeared, a man with a history with the Baroness, seeking to give aid to the very recently torn city. A Silence of Two Parts (Unfinished but canon) - After the OXY invasion, and the months of being in captivity, the Baroness of Predators Keep had been taken to Patia by the devil King, Roen. She had been in terrible shape, near death by her captors by the time he and the small band of rescuers had been able to get to her and save her. Mentally torn, physically incapable of even standing, she had spent several months under his care in the Lore Spire while he healed, the man reworking her mind and body into what it had been and more. During her stay, the two had formed a sort of bond, a short lived relationship that had ended in miscarriage and an arguement, leading the psion to retreat from Patia back to the Keep for the firs time in months. In her stead the Void Kitsune, Akako Akari, had been Baroness and ran the affairs of the Keep for her. When Red arrived back in the middle of the night, Akako had taken the heartbroken and travel weary psion into her arms, and through the night helped her with the misery of what had been her life nor nearly half a year, helping Red prepare to resume her position as Baroness. The Meeting - Not more than a couple weeks after her return, the Baroness heard rumor that a certain man garbed in red had made himself home within her city. Unnerved due to the less than comfortable history with the man, she sent a summons to him to attempt to clear up said history, and to figure out why he had came to Predators Keep. After discussing his assistance with the city, and a failed attempt to find out if he remembered who she was, Red put the past behind her and accepted his proposition to become an official citizen of the Keep. Yer a Wizard, Harry! - Needing the aid of a bodyguard, Red had fliers posted throughout Terrenus in search of someone who could handle the task of keeping the troublesome Baroness safe. After several failed interviews, a Wizard by the name of Leandros Kostikos arrived in the middle of a training session with a few of her personal guard. Taking up the task offered, Lee sparred with the psion for a position as her bodyguard, and after being successful in the spar, was granted employment. Beyond the Predators Reach (Unfinished but presumed canon) - Before the Ball that would have enabled Pk a spot on the Terran map, Red had visited Genesaris with a letter and a small amount of knowledge of the man that she was to meet with. Sauriel, an Emperor in Genesaris, had piqued her interest in hopes of expanding her lands one day into the separate continent. After a successful, albeit unnerving conversation with the Emperor, the Baroness was given the rights to a small section of land and town that she would later put to use as a Port City. Port Caelum Festival Banquet - After returning from Patia and securing finances, the Baroness shipped off to Port Caelum to prepare for a Banquet that would stand as a festival in celebration of the Port City, and as a Coronation to crown her Queen. Akako Akari was supposed to be crowned Regent of Caelum, but midway through the festival the void kitsune disappeared without a trace, leaving Red without a regent and missing a lover. During the festival she had ended up dancing with one of her saviors from her abduction, Avvercus. After having a warming conversation, Red anointed him a Knight beneath her rule, where he would be standing by her side for the foreseeable future. Thus, the Queen of the Scarlet Region was born, so to speak. Multiple non quest requested valuables were looted for himself. From the structure as well as nearby corpses. A snag almost happens on the approach to the gates. No violence happens, but from the guards perspective a young man attempted to seduce Akiris on his way back in to the keep. Due to the display, the event is still a popular joke among some of them. Akiris delivered the load of books that he'd judged couldn't be left un-watched in the structure overnight and gave a basic report of what happened. Not being well versed in psionics and magery it wasn't a complete one. Akiris accompanied several transports from the keep the next day to collect the significant amount of remaining books. It went smoothly. A Queen Lost - After returning from the Festival in Port Caelum, the new Queen was stricken with grief over the disappearance of her best friend and lover, Akako. Coupled with the string of misery she'd been through over the past year, she fell into a depression that seemed nearly impossible to free herself from. Deciding she needed some air, she found herself at the lake behind the Keep, and went for a swim. Thinking it would be relaxing to be alone, the normal seclusion in the forest only managed to worsen her sinking mood until she dipped beneath the water, where she let herself go. Kalmuli happened to be near the lake during this time and noticed the pile of clothes left crumpled on the shore, and seeing nobody, only a few stray air bubbles surfacing, dove into the lake and retrieved the drowned Queen. Resurrecting her by the simplest of means, CPR, Kalmuli decided to take the Queen away to the South Sea for an impromptu vacation to clear her head. After extended research, Isidor designed and constructed a pair of hybrid magi-tech rifles that took advantage of terrenus' gunpowder instability in order to add magical effects to the shots. Afterwards, Isidor and Ed took both rifles a safe distance outside Predators Keep for test firing. Note: This summary is a summary. The majority of the thread content details the functioning and details of the rifles, I've avoided copy and pasting the specs in the summary for the sake of brevity. Should there be further crafting threads for this item, this will be considered the blueprint thread. Akiris and Enk Razorwood investigated the odd magical signature detected in the vicinity of the labyrinth forest. During the course of their investigation the pair came to several conclusions. The first being that the forest was expanding outwards toward Predators Keep. The second was that true to its namesake, the labyrinth forest could be navigated easily when the foliage was viewed from above. As trees don't grow to full height in a day the two were able to keep their heads above the tall grass and interspersed saplings. On their return to the Predators Keep mages who posted the request they turned over various samples that they had collected in addition to their discoveries. At this point an additional deal was struck that the pair would remain silent about what they had discovered. This left Predators Keep as currently the sole entity with the knowledge of how to navigate the Labyrinth Forest and by extension they had the first crack at any resources that might lie within.